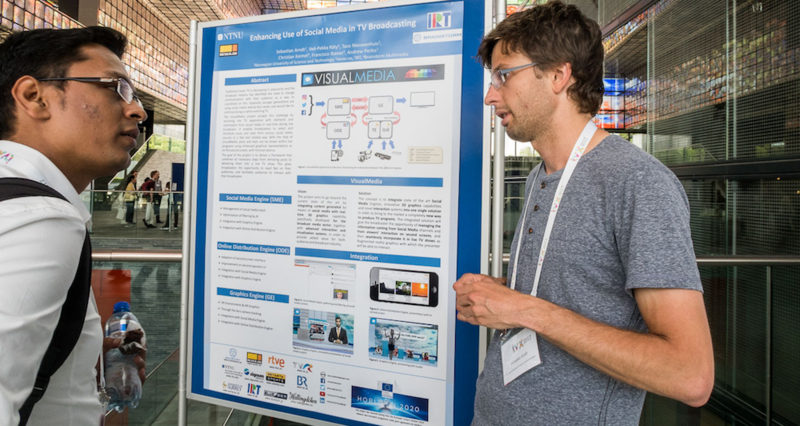 VisualMedia project paper and poster were presented at the ACM TVX 2017 conference in Hilversum, the Netherlands, 15–16 June 2017. The title of the presentation was ‘Enhancing Use of Social Media in TV Broadcasting’. It explained that traditional linear TV is decreasing in popularity and the broadcast industry has identified the need to change communication with their audience as a way to counteract on this. Especially younger generations are using social media 24/7 and would like to continue doing so while watching TV. 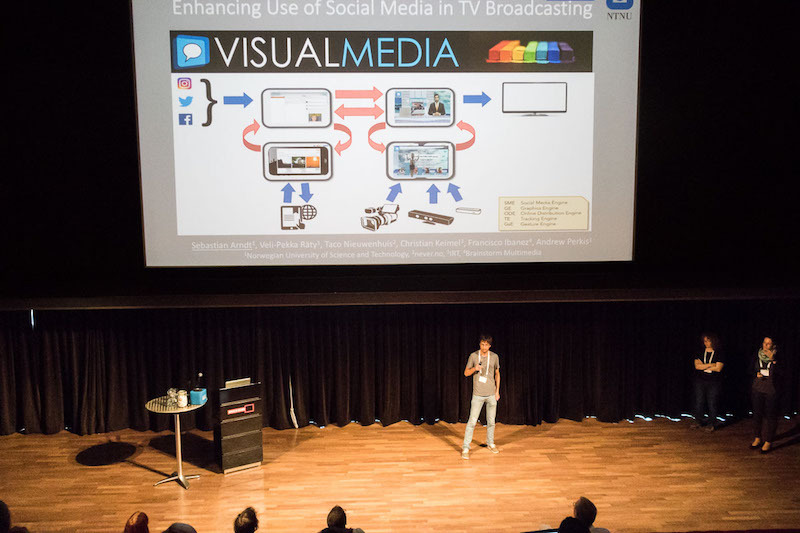 The VisualMedia project accepts this challenge by enriching the TV experience with elements and information from social media in real-time during live broadcasts. During the poster session on both days, the visitors at the session were fascinated and delighted of the new tools and possibilities VisualMedia is creating for both traditional and new types of broadcasters. Interesting discussions evolved around the VisualMedia project, its applications, and future ideas. The paper will be published in the TVX ’17 Proceedings.